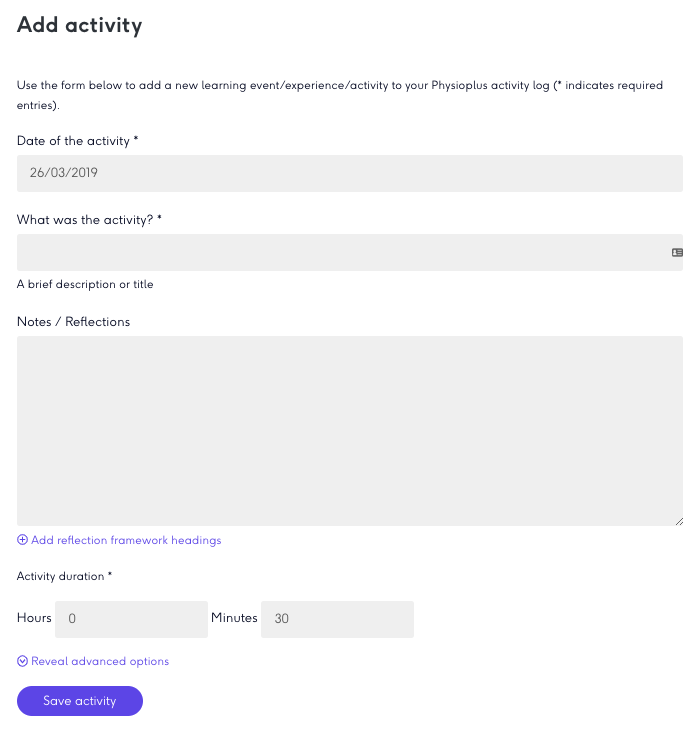 We are very excited to announce the launch of new feature on the Physioplus platform which adds the ability to use your account activity log as an eportfolio for recording your learning activities that happen in the “real world”! You can choose to watch this brief overview or read below for more details. 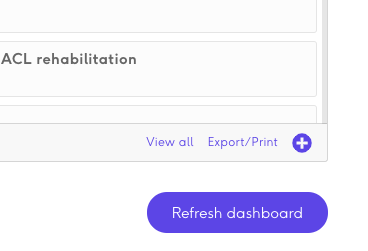 This new facility is accessed via the Plus button on your My activity log block on your Physioplus dashboard (see below) and also using a new button at the bottom of your My activity log page. We have tried to make this Add activity page as simple as possible while still providing all the options you might need to record the details and your reflections on any external learning experience. Here is a quick overview of the features offered. Date of the activity – should be self explanatory! What was the activity? – a brief description of the activity that will allow you to recall this experience at a later date. Notes / Reflections – here you can describe this experience in more detail. We have provided an optional easy to use set of reflection framework templates, that can be applied to your notes to provide structure to your thoughts. Click the Add reflection framework headings link and simply select from the 3 options provided: What? So what? Now what?, Gibbs Reflective Cycle or John’s Model for Structured Reflection. The chosen framework headings will be automatically added to the notes section and you can start considering the reflection stages immediately. Activity duration – define the time spent on the activity in hours and minutes. Activity related web address – click the Reveal advanced options link to access an additional option to record an activity related web address. This could be a link to the journal article you read, the podcast you listed to, the course you attended or a related file (e.g. a course attendance certificate) you have previously uploaded to an online storage facility such as Dropbox, Google Drive, iCloud, OneDrive etc. 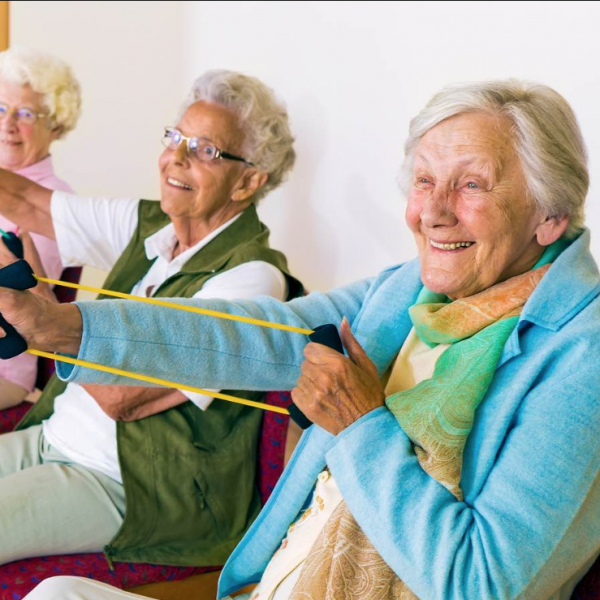 Once your external activities are recorded they will be listed in your Physioplus activity log and be searchable, editable and exportable in the usual ways. This will provide you with maximum flexibility if you should need to review your professional learning activities in the future, particularly if you are subjected to an audit! We hope you find this new facility useful and we are open to feedback on this or any other aspect of Physioplus at any time. Please don’t hesitate to get in touch!